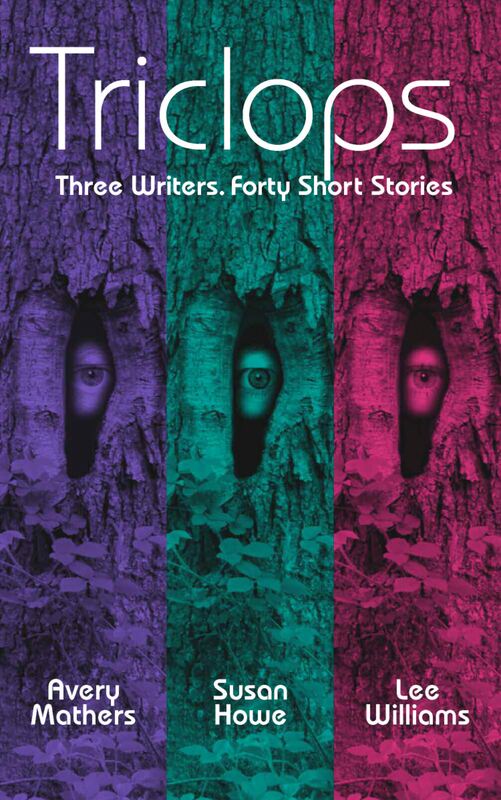 I couldn’t have been more thrilled, two and a half years ago, when a couple of writers whose work I admire asked if I would consider joining them in producing an anthology of short stories. Would I? I nearly bit their virtual hands off. Avery Mathers, Lee Williams and I met on youwriteon.com, a peer review website aimed primarily at writers who are new to putting their work up for external scrutiny. Over a relatively short period, we had seen our work improve and climb high in the YWO charts and we had overcome our initial indignation at strangers slapping our babies in public. We were all ready for a new challenge. It was amazing how the proposal boosted our productivity over the next few months. We wrote many new stories and sent them to each other for comment and, although our writing styles and subject matter differed, we managed to look objectively at each others’ work. When any of us hit a barrier, there was always help to get us through. It was a tremendously useful and constructive process and I can honestly say, even when we were disappointed by the feedback, there was never a cross word. We trusted each other’s judgment and, increasingly, we learned to trust our own and only gave way on suggestions we knew in our guts constituted real improvements. We gave the anthology a name – Triclops – and Avery wrote a prologue/epilogue to draw the collection together. Within a year we had enough material and were ready to go. So why did it take two and a half years to produce the finished, printed product? It was my fault – I got cold feet. I had been watching discussions develop on all three writing sites to which I belonged and the consensus was becoming clear. Self-publishing was vanity publishing, no more, no less. The general opinion of such books – and their authors – was poor. These were deluded individuals who couldn’t make it through traditional channels but their egos were so great, they concluded that agents and publishers wouldn’t know a hot prospect if it spontaneously combusted on the desk in front of them. I knew that wasn’t us because we had never submitted – but it still made me twitchy. I carried on writing, editing and putting my stories up for criticism and, in an attempt to see how my work rated with professionals, began submitting to anthologies and competitions. To my astonishment I was shortlisted several times, placed on four occasions and had some stories published. This gave me the lift I needed to carry on writing but it didn’t help me decide what to do about Triclops. Meanwhile Avery and Lee were still keen and were having some publishing success themselves. So although we had previously agreed that the short story market was dead, we were all getting published. What did this mean? Predictably enough, my next worry was the difference between our styles, subjects and approaches. Would I be better off joining up with writers whose stories were more like mine, in subject if not style? Should I go it alone? I must have bored everyone senseless by asking for their opinions, over and over again, and I thank them now for their patience. But the more I asked, the less I trusted my own judgement, and the boys, not surprisingly, were growing impatient. By way of a diversion and in the hope it would accelerate my decision, I designed a cover. Soon we had something we all liked and was relevant to one of the stories inside, jointly written by Lee and Avery. But not to any of mine. Far from solving a dilemma, having a cover had merely added to my feelings about the distance between us and I began to develop a phobia about the whole project. At one stage I couldn’t even think about it without panic setting in. I decided to come clean. I expressed my doubts to my collaborators who were incredibly kind and understanding, if disappointed. Avery asked me to give them a decision within the following couple of weeks so that they could set about finding a replacement. Grateful for the lack of recrimination, I offered the cover as compensation should I drop out. It was all extremely civilised. At the very moment I might have walked away with my virtual ‘friendships’ intact, a published author, whose opinion I respect, urged me to go ahead. She could see that I was getting stuck in a groove that was making it impossible to move on and write new material. I kept going back, cutting and editing, until my stories were in danger of becoming micro-shorts. At the same time I imagined taking my own name off the cover and inserting someone else’s. The very idea made me feel sick. And that was it. I made the commitment to publish and be damned. Avery sent the completed file to two highly respected authors – Andrew Taylor and Gillian Philip – asking if they would be kind enough to write recommendations for the back cover and, to our delight, they agreed. Both wrote very warmly about the collection and mentioned the diversity in the most positive terms! Forty stories, forty new beginnings. Who wants them all the same? I had mixed feelings about the finished book. I was pleased – thrilled, in fact – with the quality and the reactions from family and friends. On the other hand, I couldn’t help wondering if this would represent the sum-total of my writing achievements. For a few days I felt proud and anxious in equal measure. Then people began to buy the book from Rossiters after an interview in the Ross Gazette gave me some great publicity (see below) and the feedback began to roll in. Everyone liked it! They were surprised and excited by the diversity and someone even likened it to a box of chocolates, which can’t be bad. I can’t say I’m enjoying the promotional side of things and that’s the downside of self-publishing, although I believe many authors published through traditional channels are now also expected to do the endless blogging, tweeting and networking to support their product. I don’t want to put anyone off by overdoing it (as I have been by others) but there doesn’t seem any point in producing a book if no one knows about it. Let me know, please, if it gets on your nerves or you have any bright ideas for taking it forward. Time will tell whether or not I/we have done the right thing. Perhaps I will have my answer next year at the village fete, if pristine copies of Triclops outweigh the ubiquitous Dan Browns on the secondhand book stall. Luckily, homemade cake is never far away! The Special Years gets published! 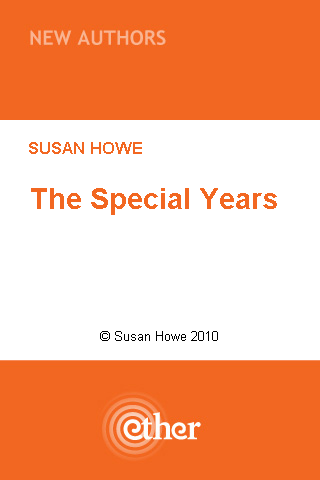 The Special Years, my story about an unusual childhood friendship, is now published as an app by Ether Books. You can download and read it for 59p! I hope you enjoy it. 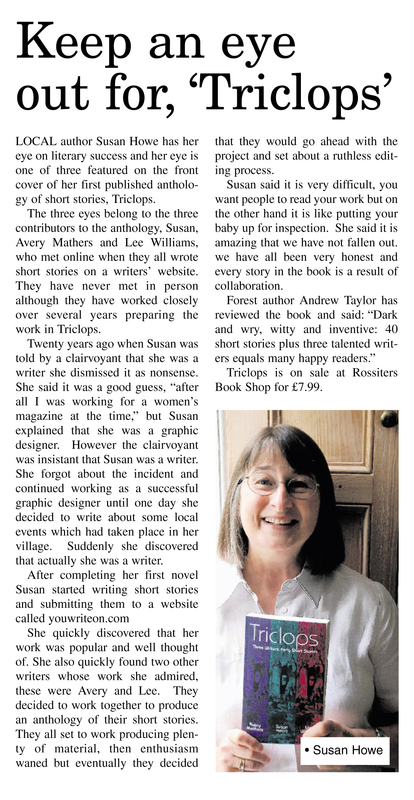 I’m pleased with the article on page four of today’s Ross Gazette about the putting together of Triclops. A couple of the facts are slightly wrong – for example, we didn’t collaborate on our own stories, except in terms of editing. There are a couple of collaborative stories but, hey – who’s counting? The bookshop gets a plug too, so we’re all happy!